No more of the long list of accomplishments. President Rodrigo Duterte discussed what mattered most, and it was about what needs to be done so that the nation will continue on with its economic progress. Veteran journalist Serafin “Jun” Ledesma noted how Duterte’s strongest critics, the Church and Commission on Human Rights (CHR) Chair Chito Gascon prepared their speeches beforehand under the guise or illusion of their moral ascendancy over the President. Ledesma opines that Duterte’s speech has cut through their conscience, but they proceed to attack and belittle him anyway. The veteran journalist then reiterated Duterte’s SONA, highlighting the important points that were said during the event. “Depending on which side makes the count Police authorities assert it’s 2,600 killed in legitimate police operations and 1,398 by either vigilantes or by drug lords to hide their identity. The Human Rights Watch draws figures from the air and like Rappler would claim that over 7,000 victims were summarily murdered. Amnesty International, wanting to jar the ASEAN delegates with numbers of casualties casually announced that over 30-million Filipinos were killed in Duterte’s drug campaign,” Ledesma discussed as proof of how the detractors tend to blow up the figures to paint an image of a bloody Philippines under the Duterte leadership. Even when these critics call for Duterte to respect human rights, Ledesma noted how the mobs of dissenters act contrariwise to their causes. Even the lifting of Mindanao’s martial law was a call by the critics, and not by the Mindanaoans who remained there feeling safe and secure. He had discussed the benefits of the TRAIN law and how it works in conjunction to the Build, Build, Build program and how it contributes to free higher education tuition. Once it came to rice traders, Duterte made sure he left a message. “I know who you are,” Duterte had said. To which Ledesma added, “If the traders and retailers are listening expect the market stalls to have enormous supply even as most of the rice fields in Central Luzon had been inundated with recent rampaging floods. The issue of contractualization was also met with a promise from the President to end it, and another TELCO player will be coming in to disrupt the duopoly of networks in the Philippines. As for true peace for the Muslim citizens of the country, Duterte vowed to put the Bangsamoro Organic Law into effect within 48 hours. Now, the promise is kept. Pres. Duterte’s stand on the issue of foreign relations and maritime disputes had been clear. He does not want to wage war, but instead, to forge alliances that mutually benefit all parties involve. Ledesma praised Duterte for his “comprehensive and assuring” speech, but was unsurprised with the conduct of the “religious” even if the President did away with expletives. Concise and enlightening. The 3rd State of the Nation Address of Pres. Rodrigo R. Duterte. Brief as it is it also gives us a glimpse of what to expect in the next 365 days. The stinging rebuke to human rights activists is clear. The President is not going to rest and waste any second against his campaign against drugs syndicates. There would have been expletives as predicates of that “your concern is human rights, mine is human lives”. But this did not happen. The President must have dreamed of his mother, our Nanay Soleng, days before the SONA. As usual coterie of Catholic priest and CHR Chair Chito Gascon wasted no time to hit back at the President they had a prepared script beforehand. For some bishops who still have the mindset that they have spiritual and political ascendancy over those who run the government, the message of Duterte is cutting into their conscience but instead of saying mea culpa, they proceeded to hit the President anyway. Indeed of what use are human rights if human lives are lost. Taken from the context of what had happened and is happening in the country which was almost in the brink of becoming a narco state during the ‘noynoying’ days of the previous administration, the critics should have considered the number of members of the drug syndicates killed for fighting it out with the law as against the more than a million drug pushers and users who surrendered and rehabilitated. It’s war against drug syndicates and expect casualties among suspects and law enforcers. Depending on which side makes the count Police authorities assert it’s 2,600 killed in legitimate police operations and 1,398 by either vigilantes or by drug lords to hide their identity. The Human Rights Watch draws figures from the air and like Rappler would claim that over 7,000 victims were summarily murdered. Amnesty International, wanting to jar the ASEAN delegates with numbers of casualties casually announced that over 30-million Filipinos were killed in Duterte’s drug campaign. From her detention cell, former CHR Chair and Justice Secretary and now incumbent senator still stoically echoes her allegation, along with her missing perjured witnesses and fellow Sen. Antonio Trillanes, that Duterte organized the Davao Death Squad which was responsible for the extra-judicial killing of nearly 3,000 victims which were buried in a common grave in an abandoned quarry in Davao City. And they believed the myth like it is the biblical truth. Duterte warned the cabal of street demonstrators and altar firebrands that the campaign against drugs will be intensified. Human rights activists and other foreign-funded NGOs with similar HRW agenda complained about curtailment of freedom and bashed Duterte for being a dictator but their mob activities eloquently argue against their claims. They demanded for the lifting of Martial Law in Mindanao, while Mindanaowons plead to let it stay. It is their guarantee for peace and liberty. In a renewed cautionary message to friends who are in the government bureaucracy, the President stressed never ever engage in corrupt practices for he will not hesitate to axe them from office and then goodbye to friendship. 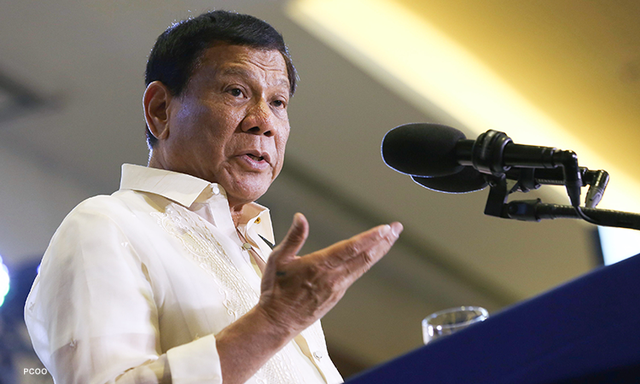 President Duterte skipped the litany of accomplishments in his 35-minute or so SONA to hammer the other exigencies which are needed to propel the country’s development to address the various problems and potentialities. He underlines the benefits of the Tax Reform for Acceleration and Inclusion and its impact on the Build, Build, Build program of the government. Populist political opposition figures with professional street demonstrators wanted TRAIN stopped. A student who was frothing in the mouth assailed Duterte for what he claims as the President’s lackadaisical interest on education. The ignoramus was not aware that college education in public schools is now free. Thanks to TRAIN law. Critics simply ignore the fact that the huge majority of wage earners are now exempt from paying taxes which translates to additional P50,000 extra money to spend. Duterte segued to warn rice traders to stop their anomalous practice of hoarding their stocks and their clandestine and dubious partnership with NFA rice retailers. “I know who you are”, he intoned. Did I see Cabinet Sec. Jun Evasco in his quiet corner, with his thumbs up? If the traders and retailers are listening expect the market stalls to have enormous supply even as most of the rice fields in Central Luzon had been inundated with recent rampaging floods. Otherwise, if I know the President, these hoarders will belong to the same category as drug dealers. Make no mistake about that. On the issue of ENDO, Duterte asked Congress to pass a bill ending contractualization admitting that an Executive Order is not sufficient to address the problem. 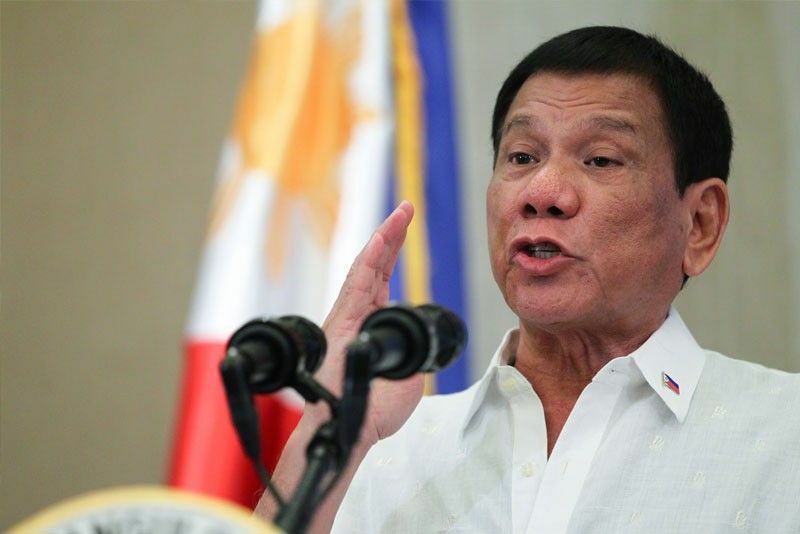 On the much awaited 3rd Telco player, President Duterte again enunciated that any qualified firm can join the contest including foreign companies with the aim of putting an end to the domineering duopoly in the telecommunications industry. He said the search is not that simple but it will happen soon. Somewhere in the gallery, Acting Sec. Eliseo Rio was listening and nodding his head. He actually got the nod of the oversight committee for the search of the 3rd Telco on what he wish to be the primordial basis of the choice of a strong challenger against Globe and PLDT/Smart. The Bangsamoro Organic Law was expected to be ratified during the joint session of both houses soon after the SONA. This however did not happen on account of the sweeping change in the House leadership. But just the same Congress reconvened the session after the SONA with former President and now Rep. Gloria Macapagal Arroyo presiding as the new Speaker of the House. The first and the only agenda was the ratification of the BOL. It passed without fanfare. In his speech President Duterte assured the leaders of the Moro Islamic Liberation Front and the members of the Bangsamoro Transition Commission that he will sign the bill within 48 hours. The next gale I heard from the west of Davao was the din of the celebration of my Muslim brothers. On the foreign affairs issue the President refused to be dragged into the vortex of beligerence of war mongers on the conflicts of multilateral claims of islets in the West Philippine Sea. 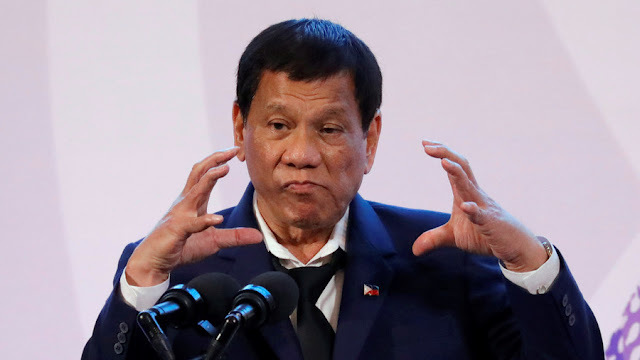 While asserting he has no intentions of abandoning our territorial claims over Scarborough and the Spratlys he made it visibly apparent that he will settle disputes via bilateral talks with China. Except for the spectacle in the plenary hall that held the national television audience in one hour spell, the 3rd SONA of President Duterte was the most comprehensive and assuring. I expected the religious to appreciate it sans the expletives but just the same they displayed the same abhorrence and conduct of bigotry.